Order your Tama Metalworks Steel Snare Drums from AMS and enjoy 0% Interest Payment Plans, Free Shipping, Free Extended Warranty & 45 Day Money Back Guarantee. Tama's Metalworks snare drums offer a bright tone with a tight crispness in high-tuning and a smooth resonance in low-tuning. A 1.2mm matte black steel shell is designed with a ridge on the center of the shell for structural reinforcement and tonal nuance. Steel shell with matte black shell hardware. 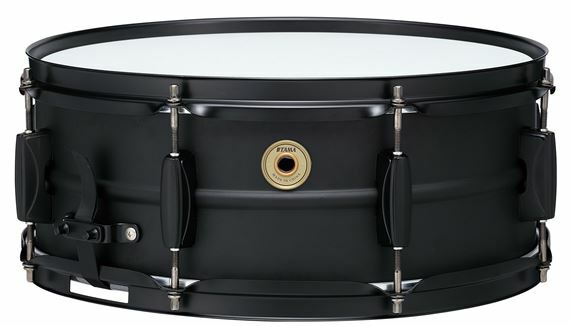 The color of the shell hardware is matched to the matte black shell to provide the cutting-edge, contemporary look of this snare. The Tama Metalworks series offers drummers sonic diversity at outstanding value.